Are you looking for a perfect gaming laptop? Today, you're going to get a perfect option for your requirement. The Alienware M17x R4-7263BK is a laptop specially designed for playing high-end graphical games. Read the following article to know about the specifications as well as the pros and cons of the laptop. 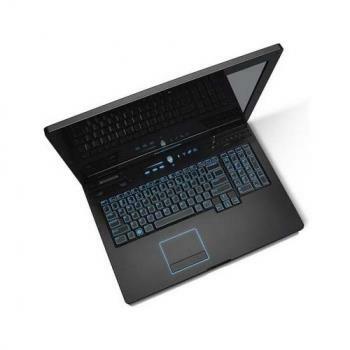 This Windows 7 laptop the 'Alienware M17x' from Dell will never let you down in terms of playing your favorite games. The AMD 7970M graphics memory will always let you get immersed in your gaming with its stunning display quality. It has a 64-bit architecture. You can later upgrade it to the latest Windows 8 operating system. The product is designed in such a way that it won't get overheated when you use it for a long period of time. And of course the latest processor that is the Intel i7 with a clock speed of up to 3.3 GHz with TurboBoost will make multitasking much faster and easier too. The Alienware M17x has an amazing design that everyone will love for sure, especially gamers. It has got a screen resolution of 1920 X 1080. The LCD screen is 17.3 inch which will make gaming and movies look crystal clear. It is a great laptop which can be personalized as per our wish. Even the lighting effect on the keyboard can be personalized. It also has got the 3D capability with which you not only can play the game but feel like you're right in the game. With the help of the AlienAdrenaline feature you can assign specific profiles for each of your games like start a program when your game starts, or visit a website when your game starts or anything like that. So, in this way you can get different actions performed when playing different games. The AlienFX feature offers you a way to personalize the lighting effect of your laptop. There are 512 billion distinct lighting combinations that you can make with AlienFX. In this way you can enhance your gaming experience by making different lighting effects occur at different gaming events. The AlienFusion feature lets you control the performance of the system. If you are using it for gaming, then you can set a high performance profile. If you're doing everyday use then you can lower down the performance. All this can be done with the help of AlienFusion. This can prove to be a very important feature for most of you. The AlienTouch can control the sensitivity of your laptop's touchpad so that no one accidentally clicks anywhere. The Alienware M17x is a powerful tool for any work that you would say; let it be gaming, video editing, graphics desiging, 3D modeling, developing games, etc. because it is powered with Intel's latest 3rd generation i7 processor. It has a clock speed of 2.3 GHz which can be boosted to 3.3 GHz with TurboBoost. It also has a 6 MB cache memory. The 8 GB RAM will make your computer work with lightning speed. For improving the graphics performance there is a 2 GB GDDR5 AMD Radeon HD 7970M graphics card pre-installed to let you play the latest 3D games released in the market. The 1 TB hard disk with 7200 rpm will let you store easily, all your games and all the important data that you have. Now, there's no need to worry about storage space. The laptop comes pre-installed with the Windows 7 Home Premium but you can definitely upgrade it to the latest Windows 8 version of Windows. This laptop has a battery life of up to 3 hours. There is also a 2.1 megapixel camera with full HD and dual digital microphones. As far as connectivity is concerned, there are 4 USB 3.0 ports that are really amazing feature because you can hook up all your important USB devices easily at one time. There is an HDMI-1.4 output with audio and an HDMI-1.3 input port with audio. There is also a mini-Display port and a VGA port. A 9-in-1 card reader will make data transfer from all your gadgets really easyly. There is also an RJ-45 port. There is an integrated 10/100/1000 Mbps Gigabit Ethernet NIC for Wi-Fi connectivity. It is also equipped with an Intel Centrino Wireless-N 2230 with Bluetooth 4.0 with the help of which you can transfer your data via your smartphone to your laptop and vice-versa without any cables. The high performance specifications make this laptop a must buy product for game-lovers. The screen resolution is great and also the graphics card is of an excellent quality. The customization features of the laptop is pretty amazing. The graphics card is only 2 GB while some of the competing gaming laptops have up to 4 GB of graphics memory. But, 2 GB is enough for most of the latest high-end games. The Alienware M17x is a must buy laptop for a person interested in gaming or a computer user wanting a laptop with high performance. The Alienware M17x costs $1,630. Since, this laptop has such a great performance specification the price is okay. So, if you're ready to spend some money on a high performance laptop then The Alienware M17x would be a great option for you. Here is the review of the upcoming Alienware by Dell, Dell Alienware M14x which is the predecessor of Dell Alienware M11x. Read the below article to know the features, specifications, reviews and the release date of Dell Alienware M14x.